Harriet Tubman, woodcut used in Scenes in the Life of Harriet Tubman by Sarah H Bradford (1869). Artist unknown. “Dad, what was your favorite Civil War battle?” When Leo asked this a couple of years ago, my first impulse was to give him a speech about how there weren’t any good battles — no matter how brilliant the strategy and tactics, no matter how bravely the soldiers fought, it was all a horrific slaughter. Then I thought for a moment, and said: “The Combahee River Raid.” I told him how this was when Harriet Tubman led Union troops in an attack on South Carolina plantations, hitting at the heart of the Confederate slave economy and, most important, freeing hundreds of people from slavery. How this was an important military event that most of his Civil War books didn’t even mention. So a while later I was excited to find a children’s book that focuses squarely on the Combahee River Raid and the woman who spearheaded it. “Long before the Civil War began, Harriet Tubman started her own war against slavery.” These words open Thomas B. Allen’s Harriet Tubman: Secret Agent, and they encapsulate two of its central themes. First, the war against slavery wasn’t started by Abraham Lincoln or the Union Army. It was started by black people, and the U.S. government joined in much later (or more accurately switched sides). Second, Harriet Tubman wasn’t just a brave, determined woman who escaped from slavery and helped others do the same. She was a soldier and military leader — the only woman who led troops into battle in the Civil War, but also someone whose combat experience started much earlier. Her work as a spy — and someone who recruited, trained, and directed other spies — was part of that long war. These points will appeal to those young readers who are drawn to cloak and dagger stories or battlefield history, but they can also deepen kids’ understanding of the struggle against slavery and racial oppression more generally. Putting things in simple, concrete terms, Allen writes that as a conductor on the Underground Railroad, “Harriet learned some of the basic spy procedures that today’s intelligence agents call ‘trade craft.’ For example, if two spies must meet, they try to set up a meeting in a way that puts only one in danger. Harriet did this by having escaping slaves meet her seven or eight miles from their cabins. Chances were that anyone spotting their escape would capture them before they reached Harriet” (31). And Allen shows how Tubman applied this experience after the Civil War began. In 1861, when her home state of Maryland was teetering on the edge of secession, Union commanders asked her to do spy work there, since she knew the region intimately and already had a network of Underground Railroad contacts in place. Later they sent her to Beaufort, South Carolina, a coastal town occupied by Union troops, where she recruited plantation escapees as spies and soldiers in between stints as a nurse, cook, and laundry worker. 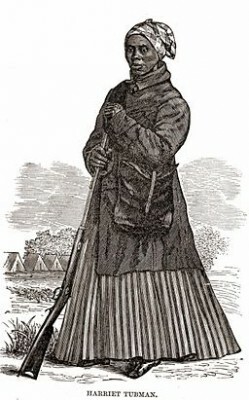 Allen’s portrait of Harriet Tubman as a fighter is especially vivid in his account of the Battle of Troy, New York, in April 1860 (about a year before the Civil War began), in which a crowd of black people attacked police in order to free Charles Nalle, who was about to be shipped back south into slavery. It was Tubman, disguised as an old woman, who led the action (and probably planned it in advance). Tubman also worked with John Brown, who took up arms against slavery in Kansas and then led the failed 1859 raid on the Harpers Ferry armory. 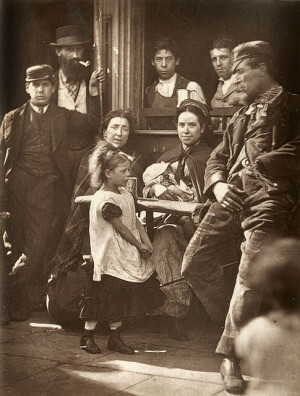 Allen may be wrong when he claims that it was Brown who “introduced Harriet to the violent world of pikes and killing” (50). But he has a point that in the Combahee River Raid and other South Carolina operations during the Civil War, Tubman and Union commanders “found themselves carrying out, in the Deep South, the plan that John Brown had conceived for the Appalachian Mountains: Find slaves, arm them, and send them against the slaveholders until, with more and more ex-slaves armed, the slaveholders would be defeated” (137). This is not what kids get in most books about Harriet Tubman or the Civil War. Up close, the Combahee River Raid is even more amazing than I had realized. Major General David Hunter, commander of Union troops in South Carolina, asked Tubman to go on the raid, and she said yes, but only if Colonel James Montgomery (who had fought with John Brown in Kansas) would be leading it. Hunter agreed. As Butch Lee points out in Jailbreak out of History: the re-biography of Harriet Tubman, Tubman worked with the Union Army, but she never subjected herself to its military hierarchy — she was an independent combatant who negotiated with generals. 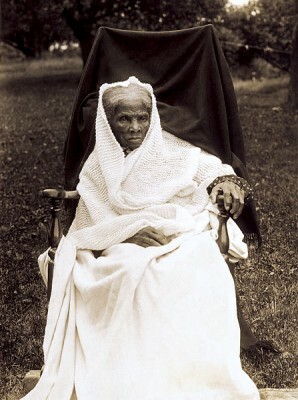 Harriet Tubman, about age 91, probably at her home in Auburn, New York, 1911. Photographer unknown. The June 1863 operation relied on intelligence that Tubman’s local spy network had gathered, and was carried out by the Second South Carolina Volunteers, a regiment composed of men who had escaped from slavery. Tubman and Montgomery planned the raid together. “Montgomery handled the military strategy, combining standard army tactics with the guerrilla warfare he had learned long ago in Kansas. Although he was in charge as the commanding officer, Harriet was the real leader of the black soldiers. She had recruited many of them and had helped their families” (148-49). The troops hit at least nine plantations, where they seized horses, cotton, rice, and other crops; torched buildings; flooded fields; and liberated about 750 people from slavery. Despite clashes with small groups of Confederate troops, not a single Union soldier was lost. The Combahee River Raid was Tubman’s only such Civil War mission for which there are detailed accounts, but as Allen points out, “the documents do have references to expeditions, not just one expedition” (164). Another strength of Allen’s book is that it doesn’t focus on Harriet Tubman alone, but also tells us about some of the many other African Americans who acted as spies against the Confederacy. We learn about Mary Touvestre, Norfolk housekeeper, who stole the top-secret plans for the Confederacy’s ironclad warship the Virginia (formerly the Merrimac), made her way secretly to Washington, and presented the drawings in person to Lincoln’s secretary of the navy. Also Robert Smalls, Charleston harbor pilot, who liberated an entire ship and its all-black crew (along with their relatives), surrendered the ship to Union blockaders, and provided detailed information about Confederate coastal defenses. And most dramatic of all, Mary Elizabeth Bowser, who “is believed to have worked as a servant in the mansion of Confederate President Jefferson Davis,” and to have passed top-level information through a spy ring led by Richmond socialite Elizabeth Van Lew. It was because of African Americans such as these that Robert E. Lee declared that “The chief source of information to the enemy is through our Negroes” (111). I especially like this passage, from the book’s Epilogue: “Good spies know how to keep secrets. Harriet Tubman kept many of her secrets, as did the other African Americans who spied for the Union during the Civil War. To tell the world you were a spy, you had to feel safe. You had to believe that no one will find you and seek revenge. After the war, African Americans who spied did not feel safe enough to reveal their secret lives. 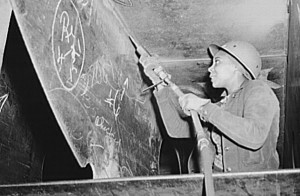 And most of them, like Harriet, did not know how to write down their recollections.” Allen points out that we know very little about what black spies did in the war, partly because many black people were forcibly denied access to literacy, partly because many government documents were scattered or lost — but also because of conscious choices that ex-spies made as skilled professionals in a context of continuing racist terror. It’s another statement of respect by Allen for Harriet Tubman and her colleagues as historical agents, not just victims. Harriet Tubman: Secret Agent is illustrated by Carla Bauer. It is a National Geographic Children’s Book published in 2006. 192 pages. For ages 10 and up. List price: $16.95 hardcover, $5.99 paperback. This website maintained by the Harriet Tubman Historical Society includes a wealth of information and historical documents about Tubman’s life and work as an anti-slavery leader, combatant, and spy, and about efforts to preserve and share that history. This first book-length biography of Tubman is often disjointed and mythologizes its heroine, but includes much reliable information. Bradford later published a revised and expanded biography, Harriet, the Moses of Her People, which is better organized and more polished but even more exaggerated than the original. Both books have been fully digitized by the University of North Carolina and are available online. Not a children’s book, but a political analysis that resonates with Allen’s account in interesting ways. Butch Lee, who describes herself as a revolutionary Amazon theorist, argues that Tubman was a brilliant military figure and far more radical than most people realize. George Washington, Spymaster, by Thomas B. Allen (2004). Another National Geographic Children’s Book by the author of Harriet Tubman, Secret Agent, this one traces the pivotal role that spy craft played throughout the Revolutionary War, from the opening battles of Lexington and Concord to Washington’s decisive victory at Yorktown. The book is full of interesting stories and offers a fresh take on the war by using it explain modern espionage concepts such as dead drop, sleeper, double agent, and diplomatic cover. But it has almost nothing about the politics of the American Revolution (such as: liberty for whom?). The images used in this post are in the public domain and are available via Wikimedia Commons. 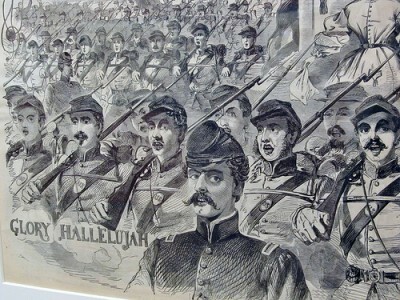 John Brown’s Body commemorates militant abolitionist John Brown and his 1859 raid on Harpers Ferry, with a tune that was later recycled for Julia Ward Howe’s “The Battle Hymn of the Republic” and Ralph Chaplin’s labor movement anthem “Solidarity Forever,” as well as various parodies. Dixie was originally a pre-Civil War song of blackface minstrels that became the unofficial Confederate anthem, with its call “In Dixie land I’ll take my stand to live and die in Dixie.” Leo is partial to the Union version, which features lines such as: “Away down South in the land of traitors, rattlesnakes and alligators… Where cotton’s king and men are chattels, Union boys will win the battles…” etc. Marching Through Georgia commemorates General Sherman’s 1864 march from Atlanta to Savannah, which helped to break the back of the Confederate economy. When Leo and I were learning this song, we replaced “darkeys” with “people” in the lyrics, and it was an opportunity to talk about how soldiers fighting to end slavery didn’t necessarily treat Black people with respect. Goober Peas refers to the boiled peanuts that many Southern troops subsisted on later in the war, when supplies grew short. 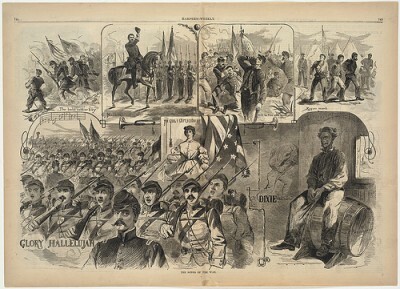 When Johnny Comes Marching Home was popular on both sides of the Civil War. As Claire noted in last post, Leo has been learning this on the fife. The same tune has been used for the Irish antiwar song “Johnny I hardly knew ye.” (Check out both the traditional Irish Rovers version and the Pogues-style Dropkick Murphys version.) Wikipedia used to say that “Johnny I hardly knew ye” was written in the early 18th century in response to the Kandyan Wars in Sri Lanka, and that “Johnny Comes Marching Home” was derived from it. But new research shows that “Johnny I hardly knew ye” was actually first published in 1867. It’s a good lesson in the imperfections of Wikipedia and of reference sources more broadly. American Civil War Music (1861-1865) is a compendium of hundreds of songs organized by year, from 1861 to 1865, with recordings and lyrics. It’s compiled by Benjamin Robert Tubb, whose main page, Public Domain Music, includes many other compendia, grouped by song era, style, or composer. Civil War bugle calls features reenactor Jan Berger demonstrating a couple dozen bugle commands, such as “Forward,” “Halt,” “Attention,” “Commence Firing,” etc. 20th Maine Civil War Fife & Drum Corps gives a spirited rendition of “The girl I left behind me,” which was used as a Civil War marching tune. Leo’s fife teacher says that most fifes were played at an extra high pitch so they wouldn’t be drowned out by the drummers. “The Songs of the War,” engraving by Winslow Homer, published in Harper’s Weekly, 23 November 1861. Image captions: The bold soldier boy, Hail to the Chief, We’ll be free and easy still, Rogues march, Glory Hallelujah, The Girl I Left Behind Me, Dixie. Winslow Homer Collection, Print Department, Boston Public Library. Leo has been taking fife lessons for several weeks now. 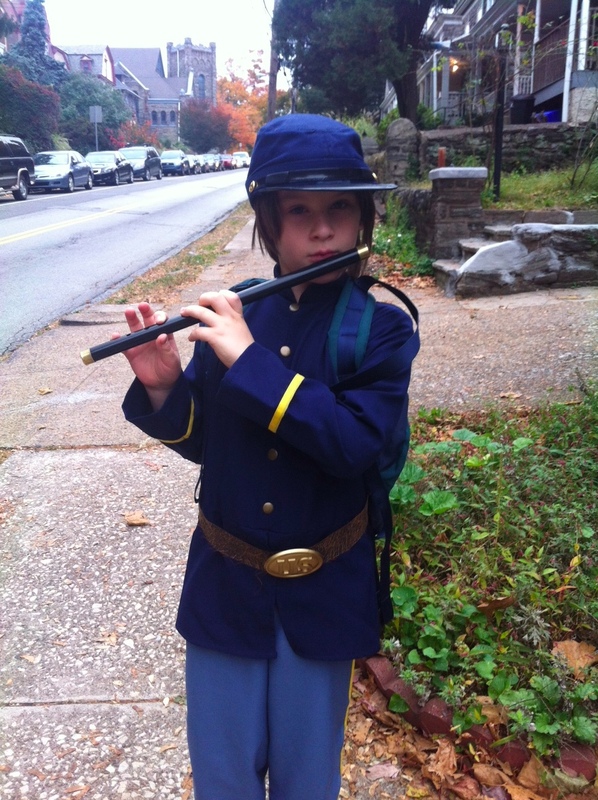 For Halloween, he chose to go as a fifer, dressed in the uniform of a Union soldier during the Civil War. When people asked about his costume, he played “Yankee Doodle” or “When Johnny Comes Marching Home” for them. History is about stories, and Philip Pullman knows how to tell a good story. Before he became famous for the fantasy young adult novel The Golden Compass (original British title: Northern Lights), Pullman published a series of historical mysteries for young people set mainly in 19th century England and centered on a young woman named Sally Lockhart. I love these books for their appealing characters, exciting plots, and vivid descriptions of Victorian London’s seamier side, from opium dens to sweatshops. Lockhart is a strong and compelling heroine: brave, smart, resourceful, and determined. Over the course of the series we see her mature from a teenager to a young mother, whose understanding of her own circumstances and the social realities around her gradually broadens and deepens. This means that young readers of the series can develop a fuller sense of the historical period as they move from book to book. “In the first Sally Lockhart title, The Ruby in the Smoke (1985), the heroine is a 16-year-old in late Victorian London. As the book opens she is trying to learn more about the death of her father, Matthew Lockhart. Matthew was a shipping agent who drowned when his company’s schooner was sunk in the South Seas with the loss of (almost) all hands, leaving Sally orphaned and virtually penniless. Sally’s investigation brings her into contact with a gritty underworld of opium dens, brothels, East End slums, and street gangs. “She took the fish out of her mouth again, looked at him steadily for a moment, and then released a flood of the filthiest, richest, ripest, fruitiest, foulest language Jim had ever heard. It went on for an uninterrupted two minutes and a half, without repetition. He, his face, his manners, his ancestry, his clothes, and his mind were compared unfavorably with parts of his body, to parts of other people’s bodies, to parts of animals’ bodies, to the stink arising from dead fish, to boils, to intestinal wind, and to several dozen other unpleasantnesses. Jim was completely taken aback, and that didn’t happen very often. “He put his hand in his pocket. “She took the sixpence—whereupon he swiped her around the head and sent her sprawling. “‘But you want to be quicker on your pins than that,” he added. ‘Cheerio'” (page 117). It’s all the more satisfying that the kid in this scene ends up having the last word. “She looked him up and down, from the red spots on his thin cheeks to the papery knuckles clutching the desk. “He said nothing as she turned and left” (pages 249-50). By this time, Lockhart has carved out a niche for herself as a financial consultant, which is presented as an extraordinary but achievable feat for a woman in 1880s London (a time when there were just beginning to be female physicians, for example). Later, as an unmarried woman, she raises a child on her own. This flouts not only Victorian rules of respectability, but also modern literary conventions. In young people’s adventure stories today, strong female characters are still depressingly rare, but mothers having adventures -– as opposed to just taking care of people, or dying -– are almost nonexistent. (The only other example I can think of is Robert C. O’Brien’s Mrs. Frisby and the Rats of NIMH.) For my money, the scenes in The Tiger in the Well of Lockhart on the run and in hiding with her toddler daughter –- worrying whether they’ve been discovered in one moment, and whether the child has a fever or will wet the bed in the next –- are some of the best in the series. This is realism of a sort that very few adventure story writers even consider. Another thing I enjoy about the series is the feeling of historical progression between the first three novels (setting aside The Tin Princess, which is great fun but something of a postscript). Although the time span is less than a decade, it’s as if Pullman is moving between historical eras and to some extent genres. The Ruby in the Smoke is steeped in Victorian-era exoticism a la Sherlock Holmes stories such as The Sign of the Four: the 1857 Indian mutiny, the opium trade, a sinister Chinese criminal organization with a colorful name, a hidden treasure. The Shadow in the North deals with spiritualism and clairvoyance but also more modern themes: industrial production, powerful capitalists, and the rise of military technology foreshadowing World War I (with just a touch of steam punk). By The Tiger in the Well, we could almost be in the 20th century, with mass immigration, organized antisemitism, and socialist organizing all central to the story. 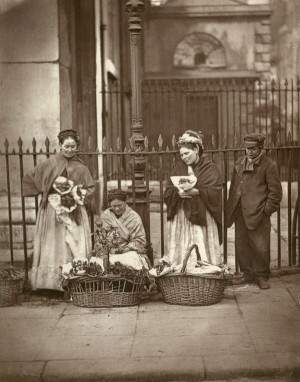 “Lodgings, in the East End, is a word that covers a multitude of horrors. At its worst, it means a room steaming with damp and poisonous with stench, with a rope stretched across the middle. Those far gone in drink or poverty can pay a penny for the privilege of slumping against this rope, to keep themselves off the floor while they sleep. At its best, it means a decent, clean place where they change the linen as often as they remember. Somewhere in between, there is Holland’s Lodgings. There, a bed for the night would cost you threepence, a bed to yourself fourpence, a room to yourself sixpence, and breakfast a penny. You were never alone at Holland’s Lodgings. If the fleas disdained your flesh, the bedbugs had no snobbery; they’d take a bite out of everyone” (page 21). “It was a family of five: father, mother, two daughters in their teens, and a sick little boy of seven all crammed into a room no bigger than twelve feet by eight. The boy lay on a mattress in a corner, scarcely breathing. The rest of them worked around a table in the dingy light from the window. The air was thick with the smell of sickness, of sweat, of fish, of glue. The family’s hands moved without ceasing, pasting strips of wood to strips of magenta-colored paper, standing them on one side to dry, then folding them into matchboxes. One of the daughters, a bright, rebellious-looking girl, was tying bundles of completed boxes together. 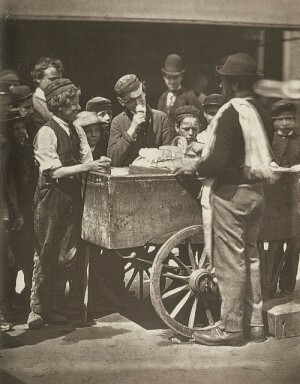 They got twopence farthing from the factory for every twelve dozen boxes they made, said the father…. Furthermore, they had to buy their own string and paste. By working all the hours of daylight and late into the night, they could make just enough to keep starvation at bay” (page 218). Up until this point, Lockhart has comfortably thought of herself as a capitalist, having worked hard to establish her financial consulting business. But now, “she began to wonder how many clients she’d advised to buy shares in Bryant and May’s, the match manufacturers. Why, she owned some herself” (page 219). Recently, Leo has been complaining that his school doesn’t teach a lot of history. So we’re doing what we always do, and looking for ways to expose Leo to history outside of school. Summer camp has always been a great way to pursue his many interests. This year my research uncovered some history camps I hadn’t heard about before. These are all in the Philadelphia area, but they offer clues for how you could track down similar camps in your own region. You can check with local museums, historic houses or estates that offer educational programming, and private summer camp outfits that offer themed weeks. Even science museums and science camps sometimes have a historical component. Here are some of the Philadelphia-area camps I’ve found that have a strong history focus. This small multi-age camp is held in an artist’s studio in the mornings, where the focus is on telling stories with art. In the afternoons, the kids go to Grumblethorpe, a historic house a few blocks away. At Grumblethorpe, the kids learn 18th-century hand crafts like making soap and sewing pockets, and every day they make an 18th-century food item. They bake bread, churn butter, make fruit preserves and ice cream. Leo’s favorite thing about Grumblethorpe is the bloodstain on the floor of the house’s front parlor, where a British general died after the Battle of Germantown during the Revolutionary War. This house is just up the road from Grumblethorpe in Philadelphia’s historic Germantown neighborhood. I just learned about their history-based summer programs. The first week focuses on Native American history, the second week is about colonial history, and the third week is all historical farming techniques and food preparation. Wyck House has a beautiful garden and a chicken coop, and Leo enjoyed making cider there when he visited on a school field trip a few years ago. This camp is based at St. Peter’s Church in Center City Philadelphia. It’s a solid week of field trips to the city’s most patriotic and touristy historic sites–the Constitution Center, the Liberty Bell, and the Betsy Ross House among many others. The camp has a half-day option, but we’ve decided not to do it. I would rather have Leo see these sites with us, so we can talk about the parts of Philadelphia history that are glossed over in the big tourist traps. Who knew a museum known for science would have an interesting history camp? This week-long camp is held outside the city at Valley Forge National Historical Park. Campers will learn about the natural history of the area, and also the history of the park itself including “the science behind historical battles.” I sort of wish I was in grades 3-8 so I could do this camp myself. This full day summer camp is mostly science, but it does offer a couple of weeks that focus on local history, including the Lenape Indians [PDF] who lived in this area before the colonists came. Younger kids go to the Academy of Natural Sciences to visit their dinosaur dig exhibit, and older kids go to the Museum of Archaeology and Anthropology at the University of Pennsylvania. We’re going to sign up for at least one of these camps, but of course the perfect history camp for Leo doesn’t exist. Matthew is thinking of using a bit of vacation time this summer to create a do-it-yourself history camp for Leo. I’m sure he’ll blog about it as the summer approaches. That’s my list! I’d love to hear about any local camps I might have missed. You are also invited to make me jealous by telling me about all the great history camps available in your area. 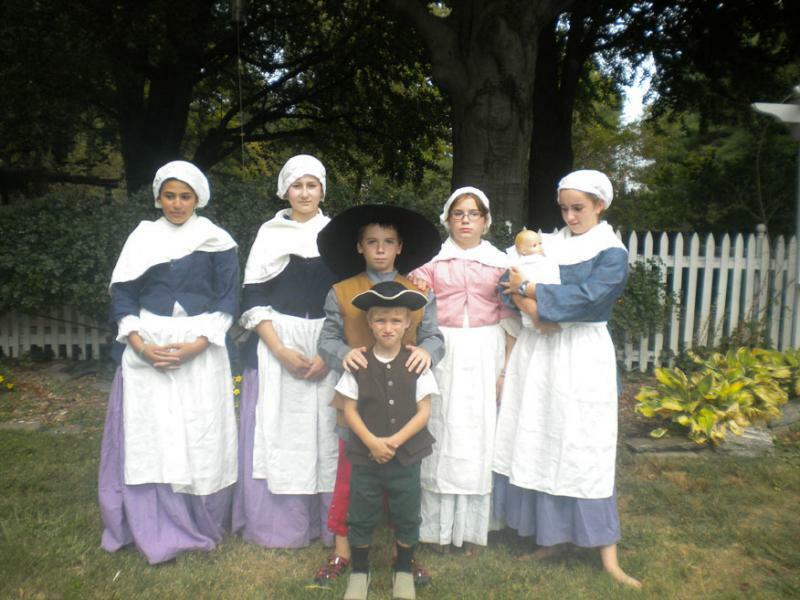 Update: The image shows a group of kids dressed up in 18th century clothes at ArtStory camp. 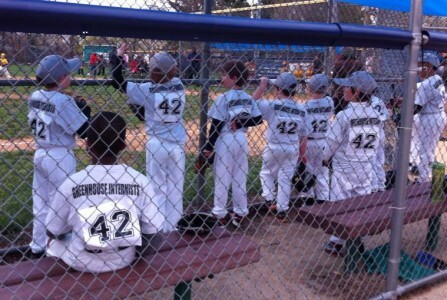 Photo credit Mindy Flexer, used with permission. We homeschooled Leo for about four months when he was eight years old. School had been good for him in kindergarten and first grade, but second grade started off rough and by spring he was so beaten down that we decided to pull him out. We scrambled to put together a homeschooling plan that would let him recover but also challenge his mind and engage his heart. Knowing Leo’s fascination with all things military, I came up with the idea of building a curriculum — or at least a large part of one — around war. 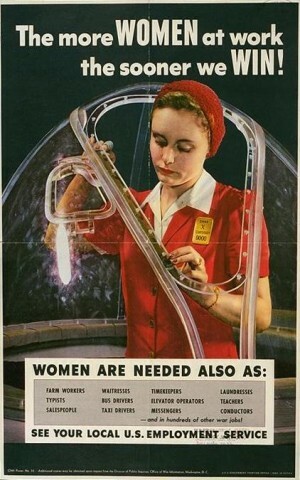 Using online and print sources, we looked at war propaganda posters from World War II — mostly U.S. and Japanese, plus a couple of German ones. We discussed the images in the posters, the purposes of wartime propaganda, and how the people in the war were depicted differently by the different sides, with a special emphasis on racial stereotyping. We looked at maps of Mexico, Texas, and the United States in the nineteenth century. I showed Leo how large Mexico had been before the Texas War of Independence, and how much territory Mexico lost in that war and in the War with the United States that followed. We counted all of the states in the U.S. that used to be part of Mexico, and talked about how many of them still have lots of people of Mexican descent living in them, and how their local cultures (foods, etc.) still have a lot of Mexican influences. We also looked at how the United States grew from the time of Independence through the end of the war with Mexico. While I was brushing my teeth this morning Leo asked, “Dad, why did the United States and the Russians start a Cold War?” That led into a short discussion about the differences between capitalism and communism. The war curriculum was an attempt to expand our child’s thinking about war, not channel it in one direction. It offered space for Leo to appreciate the loyalty of battlefield comrades who risk their lives to protect each other, but also imagine what it might feel like to be driven out of your home by soldiers. To be dazzled by the power of military equipment, but also moved by Eric Bogle’s song about a soldier who has his legs blown off at Gallipoli. 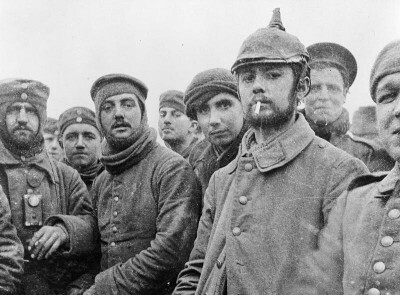 To learn about some of the many reasons people go to war, and to think about which of them are worth fighting for and which are not. 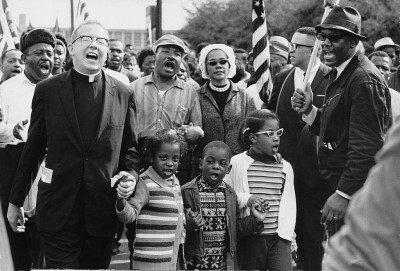 The curriculum also gave us many opportunities to talk about how social differences and divisions shape people’s lives. In the Shadow of the Alamo, for example, compares the situations of the impoverished farmers who were conscripted into the Mexican army and the landowners’ sons who became their officers. Along with the soldiers themselves, the book also shows how women and girls traveled with their sons, husbands, and fathers as camp followers, and faced lots of hardship and suffering in the process. Our experience with homeschooling was brief, as Leo returned to a school setting in the fall. But it helped us think much more actively about we can help our child learn and help make many different subjects engaging for him, including history. In future posts on this blog, I expect to write about a number of the specific resources we used.